The part of the stamen that produces pollen. A typical anther contains four sacs, each of which produces pollen grains. When the anther is mature, these sacs split open, ready to release the pollen. Pollination is often achieved using insects, which brush against the anthers while searching for food. Pollen is transferred from the anthers to the insect, and then from the insect to a stigma. A typical anther contains four sacs, each of which produces pollen grains. When the anther is mature, these sacs split open, ready to release the pollen. 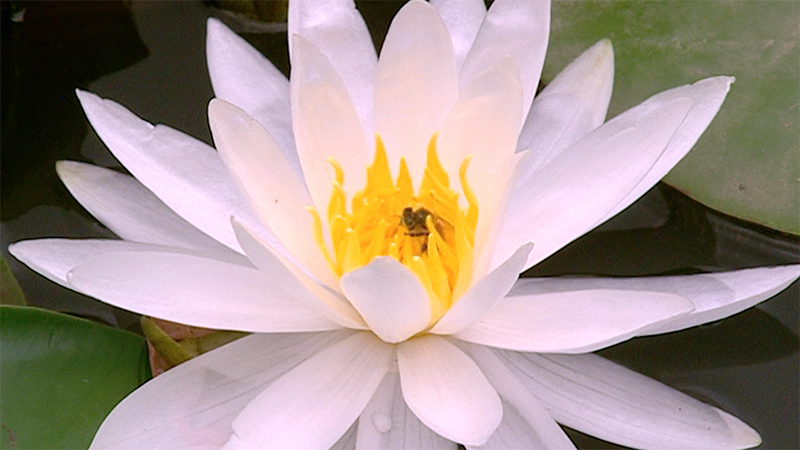 Pollination is often achieved using insects, which brush against the anthers while searching for food. Pollen is transferred from the anthers to the insect, and then from the insect to a stigma.